Most carbohydrates are broken down into glucose, the main source of energy for the human body. Glucose is created by the digestion of carbohydrates and can be directly metabolized by the cells throughout the body. It is the basis for all cellular energy and is used almost immediately once available in the body. Any small, left over amount is converted by the liver to fat and stored for later use. While fructose does provide energy for the body, it must first be processed by the liver before it can be used by the cells. However, once fructose is processed, a high percentage is converted to fat. In fact, roughly one-third of the carbohydrate calories consumed as fructose are converted in the liver to fat. Sucrose is made up of two molecules: one glucose molecule and one fructose molecule. Sucrose is basically 50% fructose. As a result, it does provide cellular energy through glucose, but consuming sucrose essentially has the same side effects as fructose. 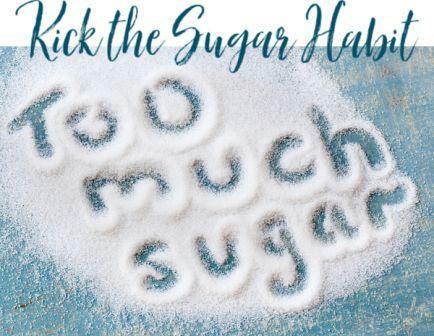 “Natural” Sugar Sugar can occur naturally in the foods we eat, or be added in a processed or refined form. Fruit contains naturally occurring fructose, as well as an important balance of fiber. Fiber has a moderating effect on the way fructose moves through the body. Sucrose comes from sugar cane and other sources like sugar beets. These also contain large amounts of fiber which affects the way the sugar is metabolized. However, much of the fructose and sucrose consumed today is highly refined. The fiber associated with these sugars in their natural state is not present in the refined products. While fructose and sucrose are natural, much of the way we now consume them is not. In addition, the amount of refined sugar consumption has increased, leading to weight gain and more serious health risks. -Choose fresh fruit for snacks and desserts instead of processed, high-sugar foods. Natural sugars in fruits are part of a complex carbohydrate package that provides fuel and energy for your body. -Avoid drinks that have a high-sugar content like sodas, juices, and sports drinks. Consuming one 12-ounce can of soda every day may equal 15 pounds of weight gain in a year. -Eat fresh foods, avoiding fast food and other processed foods. Fresh foods contain the appropriate balance of sugar your body needs for energy. On the contrary, fast food and processed foods are loaded with refined sugar. In summary, eat a balanced diet with reasonable portions made up of natural foods like fruit, vegetables, nuts, and whole grains. Eating more of these whole foods rather than packaged process foods helps reduce sugar consumption. All calories are not the same. Make sure you are getting the right foods to fuel your body and reduce sugar intake to create a healthier lifestyle. For additional help, consult a nutritionist or dietician in your community or at your facility. They can provide recommendations specific to you and your goals.